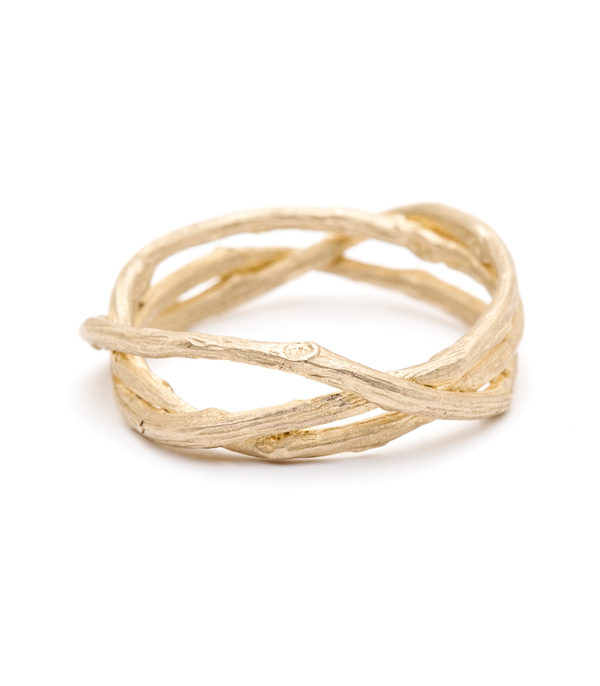 Ringing in spring with the Willow Stack, a swirling nest of golden willow branches and Salt and Pepper diamonds. 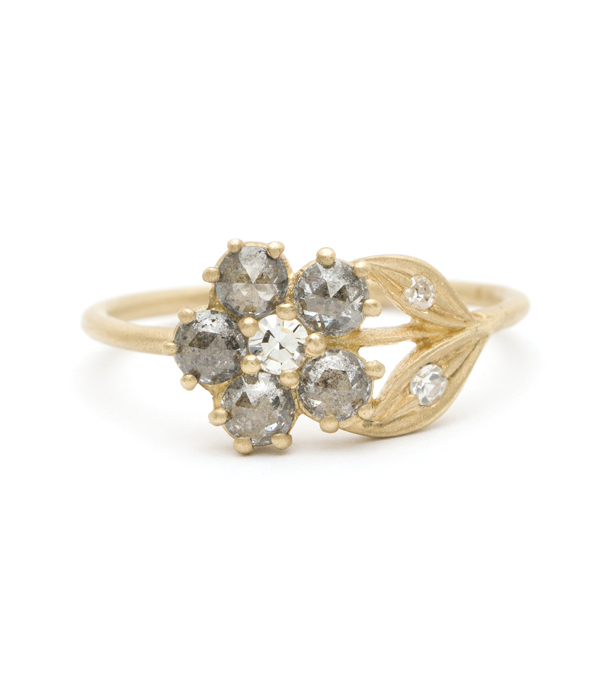 Cool, grey Rose Cut diamonds comprise the antique inspired forget-me-not flower that wraps playfully around the finger and compliments the interlocking 14K matte yellow gold branches. 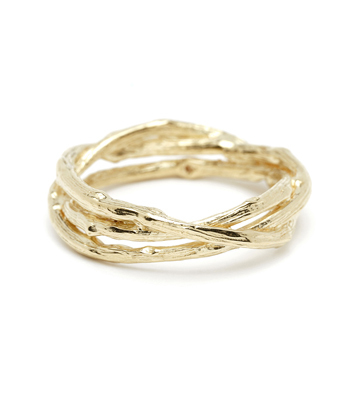 Representing unity, strength and everlasting love, this sweet stack is the perfect gift for the Vintage Romantic and would look divine with a flowing spring dress! 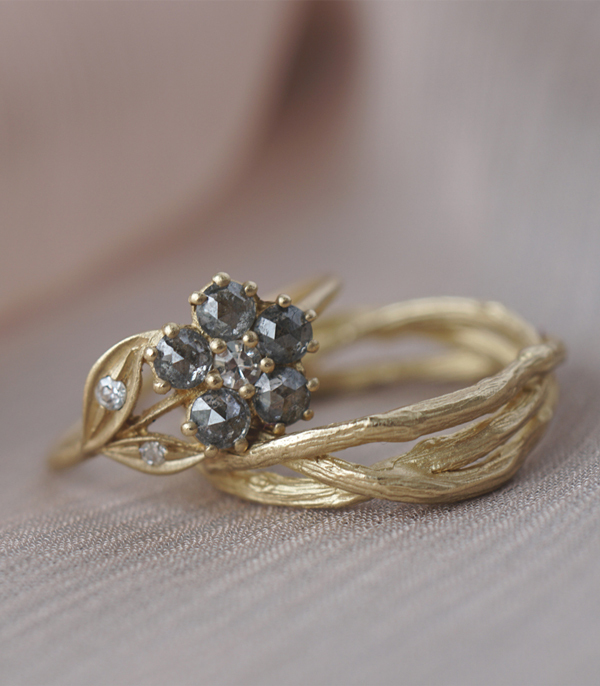 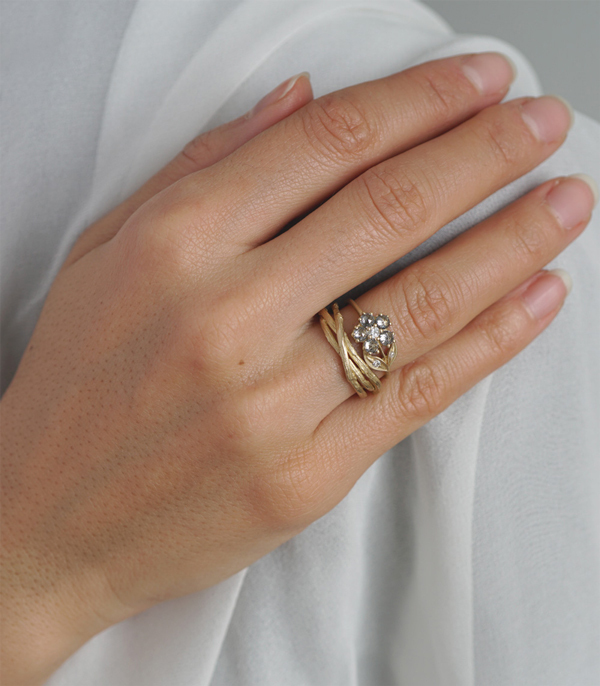 The Salt and Pepper Diamond Antique Inspired Flower Ring sits atop the Woven Branches Wedding Band.